Hear both sides of three much-discussed subjects debated during “Controversies in Sleep Medicine: Davids, Goliaths, and Some Blood on the Floor.” Three pairs of debaters will address the role of sleep-disordered breathing in heart failure, alternatives to continuous positive airway pressure in specific patient populations, and the relationship between obstructive sleep apnea and cancer. The session is from 9 to 11 a.m. Sunday in Moscone Center, Room 3003/3005 (West Building, Level 3). “These pro-con debates deal with thorny issues that confront the sleep pillar of the ATS and global health at large. Attendees will benefit significantly from this event, which will tackle these important issues head-on, and be able to synthesize and digest information that could influence their practices, research, and education,” says Sai Parthasarathy, MD, professor of medicine and director of the Center for Sleep Disorders at the University of Arizona College of Medicine, Tucson. The first debate will focus on the results of the Adaptive Servo-Ventilation for Central Sleep Apnea in Systolic Heart Failure (SERVE-HF) trial, which was published in September 2015. Researchers reported that treatment of central sleep apnea in patients with heart failure with reduced ejection fraction (HFREF) leads to an increased risk for all-cause and cardiovascular mortality. 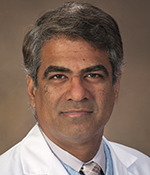 “This study has had a huge and unprecedented impact on the way patients with HFREF and predominant central sleep apnea are treated and has led to safety alerts against adaptive servo-ventilation these patients,” says Dr. Parthasarathy, a session chair. 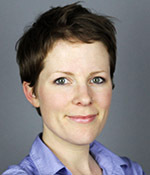 Jessie P. Bakker, PhD, another session chair and instructor in medicine at Harvard Medical School, Boston, Massachusetts, noted that this session provides the first opportunity for the implications of the trial results to be discussed in a regular conference program. The second debate will address reports in the American Journal of Respiratory and Critical Care Medicine on the association between cancer and OSA, and how cancer-related mortality may be worsened by comorbid OSA. Drs. Parthasarathy and Bakker pointed to recent studies suggesting an association between sleep apnea and cancer. often is poor and emerging treatments have been developed. However, head-to-head studies of these new treatments against CPAP have not been conducted. “The big questions are whether an alternative treatment that is perhaps less efficacious, but is used more often, is overall more effective than CPAP, and whether we can accurately identify the underlying cause or causes of an individual’s sleep apnea, and target these mechanisms,” Dr. Bakker says. Nick Antic, MBBS, PhD, the third session chair and clinical director Adelaide Sleep Health at Repatriation General Hospital, Adelaide, Australia, says the three debates promise to be informative and entertaining. 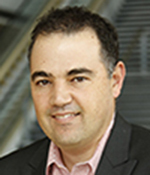 “This will be a highlight of the program with world leaders in the sleep field discussing in a pro-con format the latest hot topics and controversies,” says Dr. Antic says.